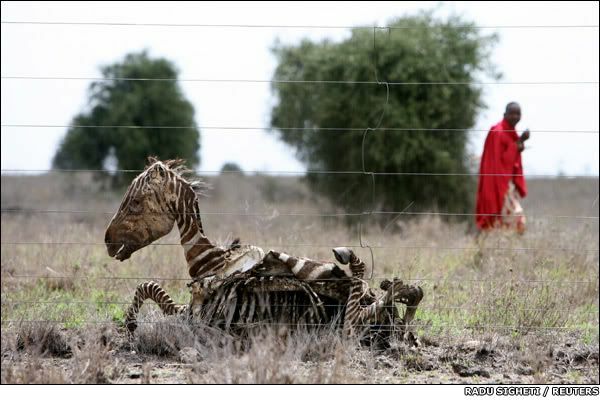 A Maasai man passes the carcass of a zebra in Kenya, where thousands of animals have died due to starvation or thirst. The area is part of a vast region in east Africa, encompassing some of the continent's poorest and most arid zones. As many sites and such have been doing, BBC News put together their top lists from the past year....specifically top 12 photos in this case. This particular one stood out to me, and I felt it was worthy of re-passing along. Sad, no?